Will totally go back! Great experience, awesome bartender who was nice to chat with and understanding when we wanted something non-alcoholic. Delicious food and fun atmosphere! The Karaage Chicken lunch box was great, and the coconut rice was surprisingly delicious with a good salty/sweet balance. Food was great (and strongly spicy) - even their homemade ginger soda! Cool vibe, excellent drinks, and really good food with veggie options! Loved this place, was a little skepticle at first but the cocktails were on point, food delicious, and staff very friendly and helpful. Looking forward to coming back. Riley was a great bartender. The chef was also very friendly and went out of his way to tell us about his process. This was our first time at Tiki Rock, and we were impressed by the friendly staff and delicious, flavorful food! The only surprise was that the menu had changed recently, and so a lot of the menu items were not longer available. However, our server made this clear to us and provided some helpful recommendations in place of the unavailable items. The ambiance was lively and colorful, making the experience even more enjoyable. We would come back again soon! Thanks Nift! The food was delicious. The drinks were amazing. Attentive staff and convenient lunch options. Food nicely presented. Good food, good cocktails and the bar manager is very friendly. The restaurant and service was great, and the food was delicious, but a bit pricey. 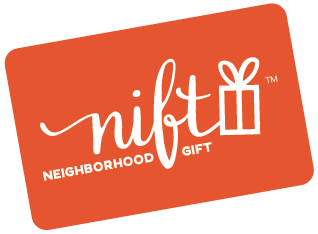 Without Nift we never would have wandered into the city of Boston to eat here. The other weird thing is that the server had to physically take the phone in order to give us the 15 dollars off which is pretty weird, but that's probably how Nift has set it up.. I little expensive but fun drinks! Fun atmosphere, fun drinks, and delicious food. I will definitely go back! Got the chicken teriyaki salad and it was really fresh and flavorful. Chicken was perfectly moist. Great food and atmosphere! I had the crab rangoons and coconut shrimp and both were amazing! Also delicious cocktails! Glad this gift certificate was $15 because the fancy roll I wanted was $19. I was able to get 1 more roll and feed the 2 of us. Thanks! Bartenders weren’t attentive, we had to get the attention of a bar back to help relay our order. Drinks were good. People were definitely being over served though.. a lot of stumbling around and obnoxious shouting. I loved the decor and theme of the restaurant. Drinks were also amazing! Great cocktails, burger was amazing! Great drinks and food! Awesome service too! Great spot! Will come back again! Great atmosphere. Attentive service. Will definitely come back again! The hospitality was amazing. We really enjoyed our experience. tiki lunch box was great. On a Saturday night, this seemed like the place to be! The rib appetizer was delicious, and the pork bun was a perfect snack sized portion. Bring your dancing shoes because the dj knew what he was doing! Tiki Rock had good drinks but the food was average! Music was pretty bad but drinks were good! They gave me a bit of trouble because they said this was dine in only. Unfortunately I called in an order and it wasn’t stated anywhere that I had to dine in. The manager had to come out and address it. When I looked at the menu I was overwhelmed by all the alcohol in the drinks, and was afraid of trying any of the drinks on the menu. The bar tender asked me what kind of drinks I liked and I said dark and stormies, I couldn't believe it when he said he has just made a bunch of homemade ginger beer! The drinks and atmosphere definitely exceeded expectations! Our bartender was really enthusiastic and did a great job recommending drinks to us. We got coconut rice bowl and spicy udon noodles. So good ... Definitely try it Also try their original cocktails.